Jesus exhorts his followers to be “salt and light” in a world of spiritual darkness and moral decay. How should Christians answer Jesus’ call as they engage the world of commerce, a God-ordained system where righteous discipline must compete against fleshly interests? The collection of essays in this inaugural title of the Biblical Worldview and the Marketplace series offers some valuable insights from leading thinkers on the theme of work-faith integration. 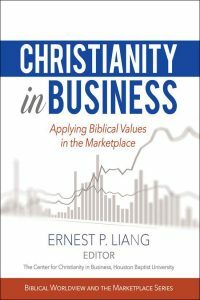 Readers will be awakened to the how and why the “good works” of marketplace Christians can testify to the amazing difference Christ makes in our lives and be more convinced that business for the Christian cannot be merely a way of making a living; it is a way of life in the Kingdom of God.